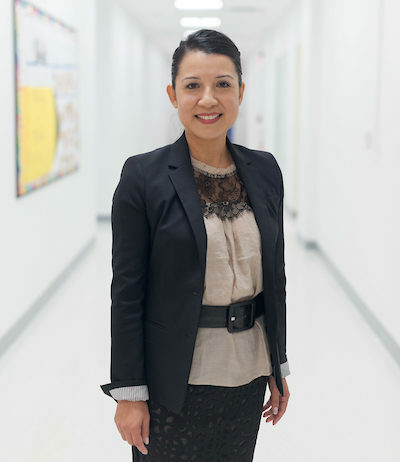 Monica Villafuerte is the Founding Principal of Cresthaven Academy Charter School. She has over 20 years of urban public school experience across a variety of disciplines including dance, mathematics and world language education in New York City and New Jersey. She has taught elementary and middle school grades, working with at-risk students, students with disabilities, and English language learners. Ms. Villafuerte has extensive administrative experience having served as dean of students, school programmer, staff developer, and adult high school coordinator. Most recently she served as Assistant School Leader at People’s Prep, a charter high school in Newark, New Jersey. During Monica’s tenure, People’s Prep grew from 7 teachers to a staff of 70, and from 95 to 380 students. In June 2015, People’s Prep graduated their first class with 90% of students accepted to 2 or 4 year colleges. Monica completed her undergraduate work in Dance Education at New York University. She received her M.Ed. from Cambridge College in Education and her Ed.M. in Educational Leadership from Teachers College, Columbia University. Monica is eager to bring her passion, enthusiasm, and commitment to effective school leadership and serve the children and families of Plainfield. 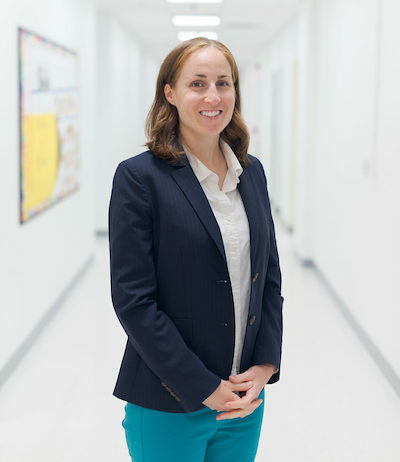 Meghan Pipchick is the Founding School Business Administrator/Board Secretary at Cresthaven Academy. Prior to working at Cresthaven Academy, she worked for a financial services company as a project manager and business analyst implementing various financial systems projects. Meghan holds a BS in Business Administration from Fordham University and an MBA from New York University. She is grateful to be part of the Cresthaven family and to make a difference for scholars in Plainfield. 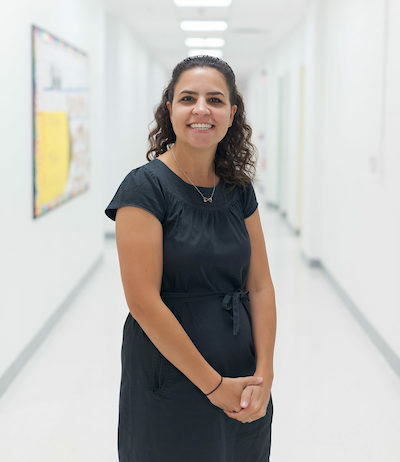 Stephanie Avallone is the School Psychologist and Student Support Coordinator at Cresthaven Academy Charter School. Prior to joining Cresthaven Academy, Stephanie worked at A Starting Place, which is a preschool that services students with disabilities, and at People's Preparatory Charter School, a high school in Newark, New Jersey. During her time at these positions, Stephanie conducted a variety of evaluations, provided individual and group counseling with at-risk students, and worked closely with administration to ensure all of the students received the support they needed to be successful. In addition to working within a school setting, Stephanie has worked for a Neuropsychologist, conducting private neurological evaluations for children and adults. Stephanie is nationally certified, holds a B.A. in Psychology from the University at Buffalo, and holds a M.A. in School Psychology from Iona College. Stephanie is committed to supporting all of our students in reaching their fullest potential. Daniel Croson is the Dean of Students at Cresthaven Academy Charter School. 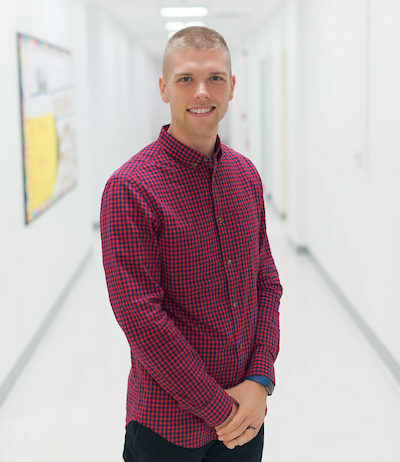 Daniel previously served as the Founding Executive Director of Cresthaven Academy Foundation. During his tenure, the Foundation created a dynamic on-site after-school program for Cresthaven scholars and worked collaboratively with the school on all things outside of direct classroom instruction, including academic enrichment, family outreach, fundraising, operations, and capital projects. Before joining Cresthaven Academy, Daniel worked as Director of Community Development for the Borough of Carteret and as a School Board member of the same district. In those roles, Daniel planned and oversaw numerous enrichment programs for students, including a free homework help program at the local library and the expansion of the local Boys & Girls Club. He holds a Bachelor’s degree in Political Science from Kean University and has spent over 12 years working in both youth and children's ministries. Daniel’s work is rooted in the belief that each person has greatness within them and, with access to a high-quality education, can use that greatness to transform the world around them. He enjoys iced coffee, running, and watching Friends with his wife, Anjli.